A herb with narcotic affects, Wormwood or ‘Artemisia Absinthium’, is also known as green ginger and is said to be used as a main ingredients in the preparation of several alcoholic drinks to add taste and intoxication. Wormwood is a Mediterranean perennial herb or a shrubby plant from the Aster family. The plant is cultivated commercially in the central and northwestern United States. It is a shrubby and aromatic plant which yields grayish-green leaves and yellow flowers. The plant has an aromatic odor and an exceedingly bitter taste, which serves as one of the reasons for their use in different alcoholic beverages. Apart from adding flavor to liqueurs, wormwood also helps in relieving body from different infections and diseases. The article throws light on the benefits of consuming wormwood and its essential extracts. Wormwood helps in expelling intestinal worms. It enlivens and stimulates the entire digestive process and it promotes the production of cholesterol and bilirubin. Due to the toxic effects of the essential oils of wormwood the parasitic worms like the round worms, tape worms, hook worms etc. found in human body are all killed. This helps in regaining the restricted body growth especially in children due to the proper absorption of nutrients by the body. Wormwood has a bitter taste which is accounted because of the presence of absinthin and artabsin in wormwood. This strong and bitter taste of wormwood helps in stimulating the taste buds which improves the production of saliva, thereby increasing the appetite of a person. Wormwood has been traditionally used as an herb for its anthelmintic, antiseptic, antispasmodic, carminative, sedative, stimulant, stomachic and tonic properties. These chemical properties of wormwood also provide it a mild anti-infective property that helps in keeping the skin injuries from getting infected. Wormwood also helps in countering the poisoning caused by hemlock, mushrooms and sea dragons. It can also be used in the production of absinthe which is a green liqueur with a bitter licorice and high alcoholic content. Wormwood is useful in treatments related to the ailment for liver, gall bladder, stomach and kidney dropsy. It is also good for treating urarthritis and for almost all the diseases caused due to the retention of water in tissues. Wormwood as an essential herb can also be used to improve blood circulation. It also acts as a pain reliever for women during labor, as an agent against tumors and cancers and as a cardiac stimulant. Wormwood extract is high in thujone content. It has got a characteristic smell and an aroma similar to that of ‘Thuja’. This justifies the use of wormwood in deodorants. However, one needs to be careful and not use it in a very high degree of dilution to avoid excessive inhalation. Wormwood is said to have Cholagogue property which helps in the discharge of bile juice into the stomach and it stimulates other discharges too. The bile juice helps in the decomposition of the food which helps in faster and proper digestion. It also helps neutralize excess of acid content in the stomach, hence relieving a person from problems like acidity, ulcers caused due to prolonged acidity and acidosis. Wormwood can also be termed as an Emmenagogue because of it property of stimulating discharges. 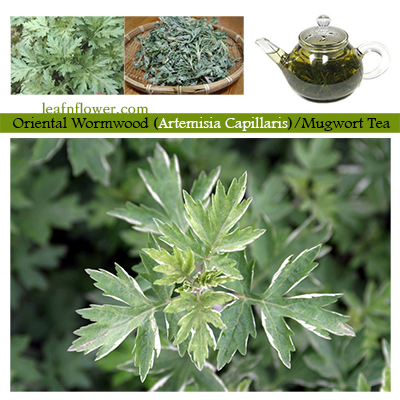 Wormwood helps in stimulating the menstrual discharges that clears the obstructed menstruations. This function of wormwood is very essential from the health point of view. of wormwood also helps in solving the problems like headache, abdominal cramps and ache, nausea, fatigue, lack of appetite etc.